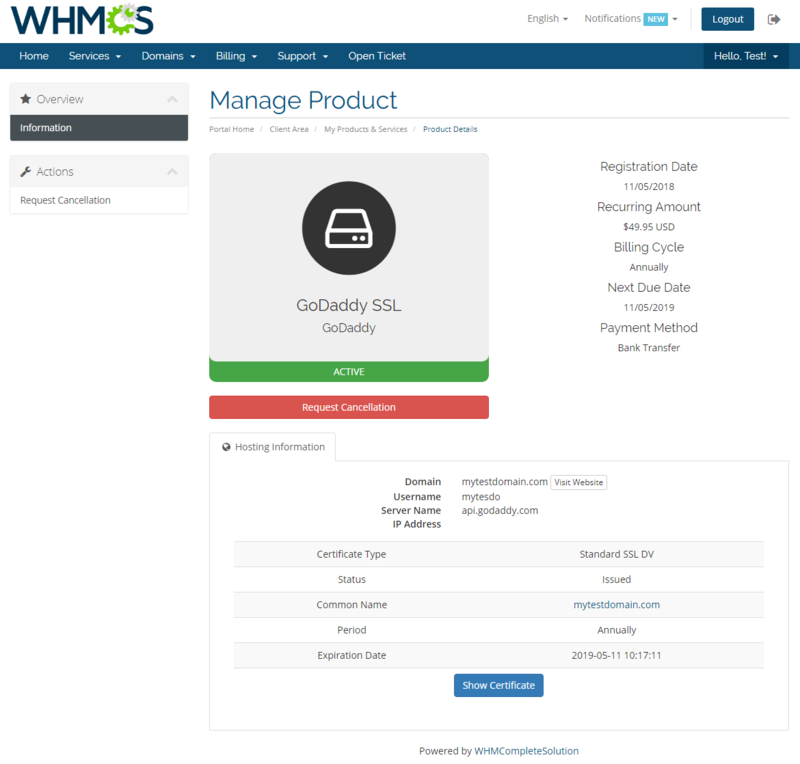 GoDaddy SSL For WHMCS is a module which will allow GoDaddy API Resellers to offer and provision SSL certificates to your customers right within the confines of your system. 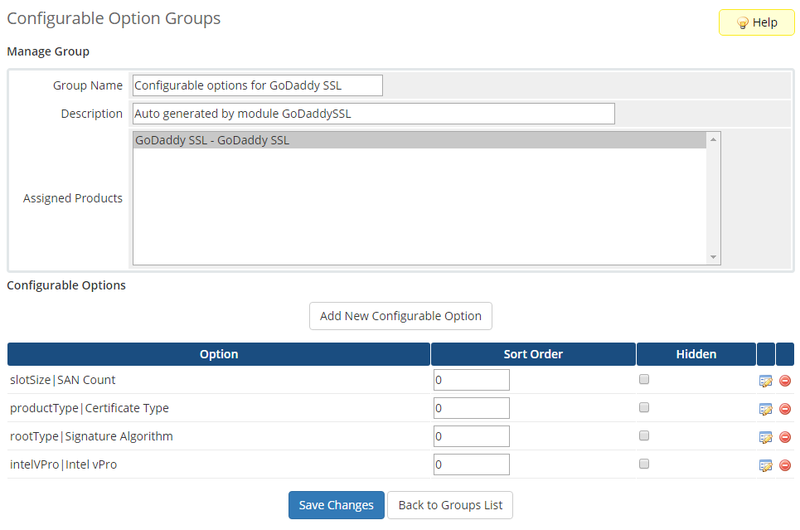 As an administrator, you will be fully empowered to adjust such parameters as SAN count, signature algorithm or certificate type for every newly created product during the configuration stage, terminate certificates, as well as renew them in either a manual or automatic manner, and even rekey certificates. 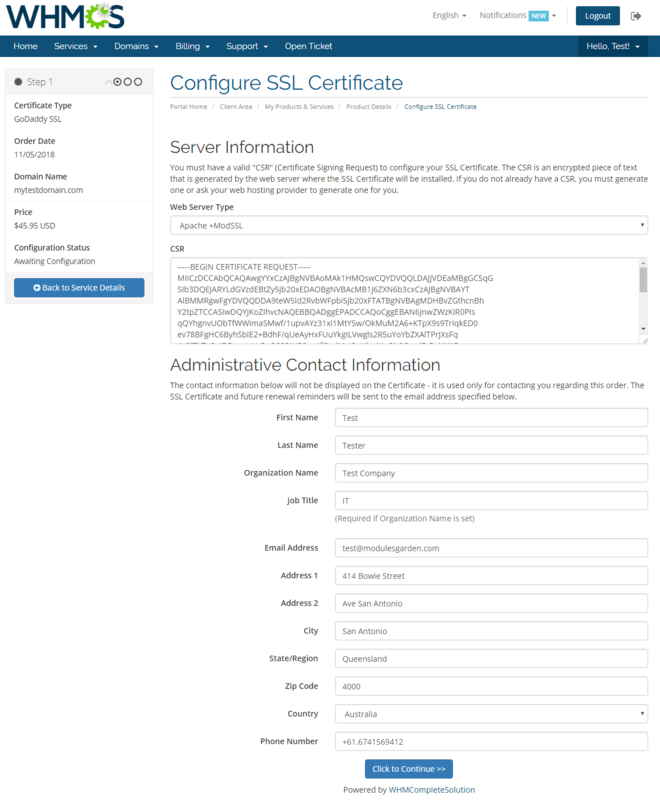 You will also gain access to a wide range of various SSL configuration details, including certificate ID, current status or expiration date. 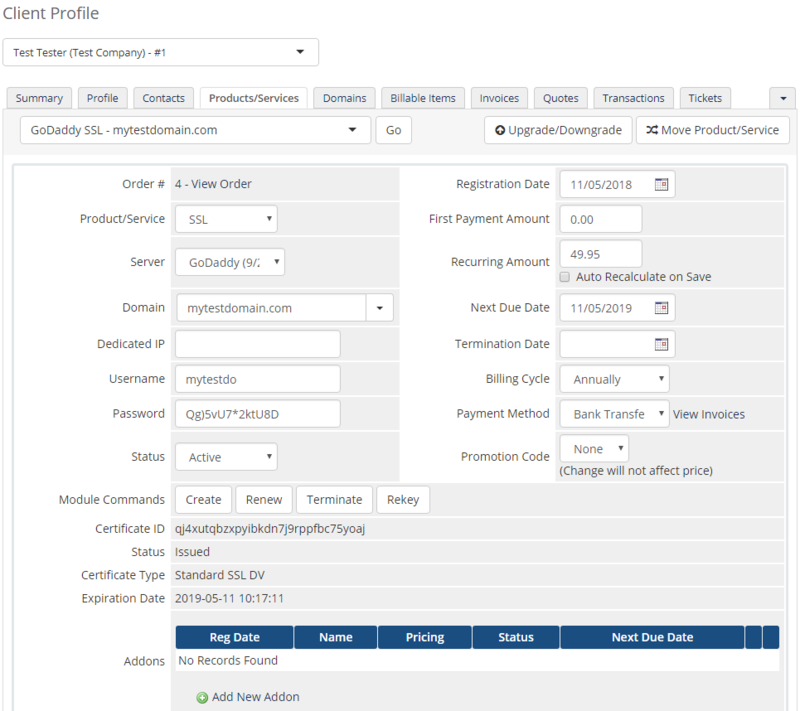 Of no less importance is the fact that your clients will be given the capability to readily define key properties of the desired product during the order placement. 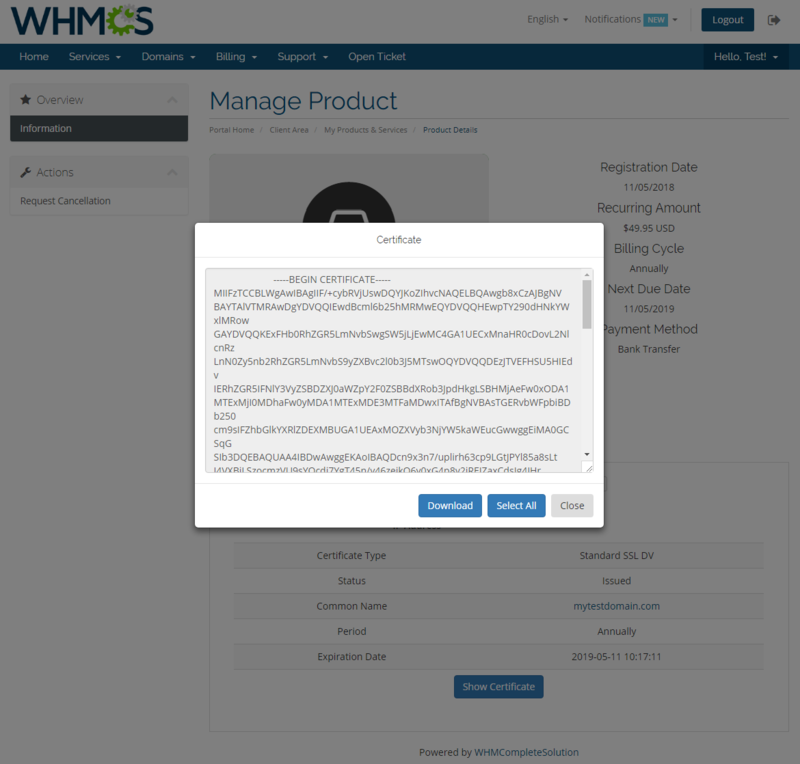 Upon successful order completion, they will also be enabled to preview all sorts of information on issued certificates from its type, status, and common name to registration period and termination date. 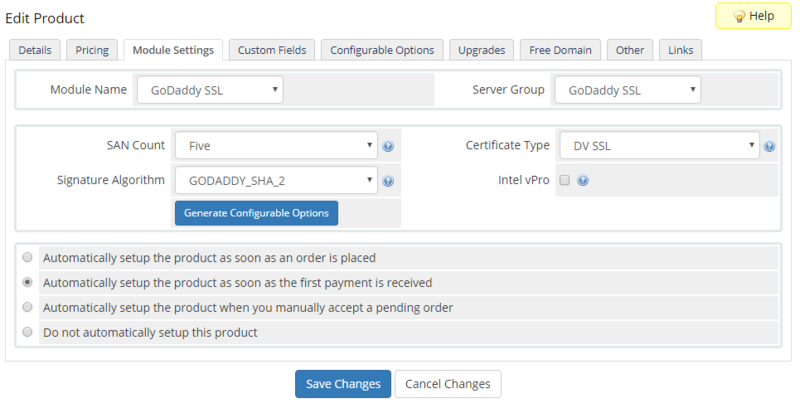 Position your business far away from the competition. 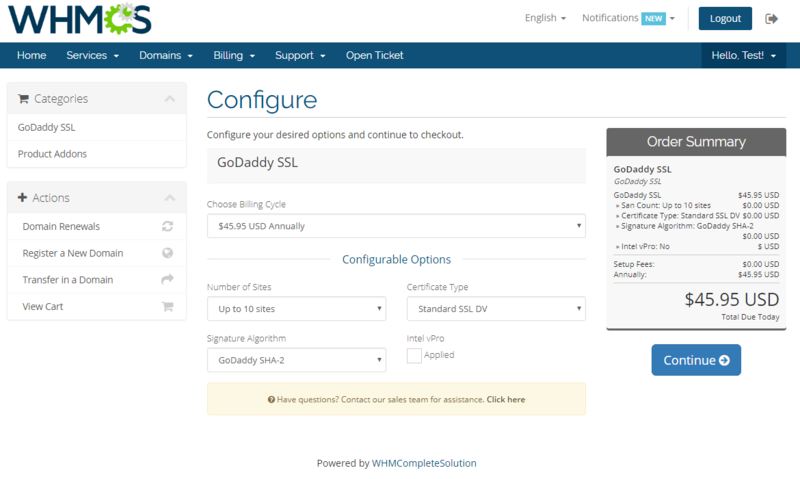 Order GoDaddy SSL For WHMCS today and soar your certificate provisioning craft to breathtaking new heights!